31. Rajneesh Misra, Thaksen Jadhav, Bhausaheb Dhokale, and Shaikh M. Mobin, Reversible mechanochoromism and enhanced AIE in triphenylethene substituted phenanthroimidazoles, Chem Commun., 2014, 50, 9076-9078. 30. Bhausaheb Dhokale, Thaksen Jadhav, Shaikh M. Mobin, and Rajneesh Misra, Meso enamine substituted BODIPYs, Chem Commun., 2014, 50, 9119-9121. 28. Rajneesh Misra, Thaksen Jadhav, Bhausaheb Dhokale, Prabhat Gautam, Rekha Sharma, Ramesh Maragani and Shaikh M. Mobin, Carbazole-BODIPY conjugates: design, synthesis, structure and properties, Dalton Transactions, 2014, 43, 13076-13086. 27. 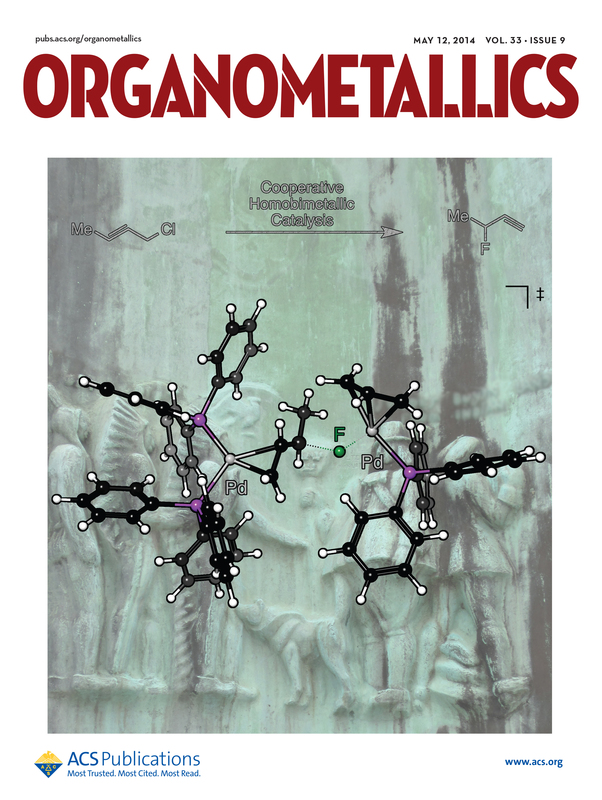 Prabhat Gautam, Ramesh Maragani, Shaikh M. Mobin, and Rajneesh Misra, Reversible mechanochoromism in dipyridyl amine substituted, unsymmetrical benzothiadiazoles, RSC Advances, 2014, 4, 52526-52529. 26. 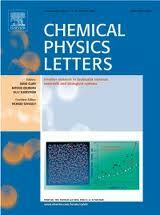 Rajneesh Misra, Ramesh Maragani, Prabhat Gautam, Shaikh M. Mobin, Tetracyanoethylene substituted triphenylamine analouges, Tetrahedron Letters, 2014, Article in press. 24. Rajneesh Misra, Ramesh Maragani, K. R. Patel and G. D. Sharma, Synthesis optical and electrochemical properties of new ferrocenyl substituted triphenylamine basand donor-acceptor dyes for dye sensetizzed solar cells, RSC Advances, 2014, 4, 34904-34911. 23. Rajneesh Misra, Prabhat Gautam, Tuning of the HOMO-LUMO gap of donor substituted symmetrical and unsymmetrical benzothiadiazoles, Org. Biomol. Chem, 2014, 12, 5448-5457. 22. Rajneesh Misra, Bhausaheb Dhokale, Thaksen Jadhav, S. M. Mobin, Quenching of fluorescence as an indicator of donor-strength in meso arylethynyl BODIPYs. Dalton Transactions,2014, 43, 4854-4861. 21. Rajneesh Misra, Bhausaheb Dhokale, Thaksen Jadhav, and Shaikh M. Mobin, Meso-aryloxy and meso-arylaza linked BODIPY dimers: synthesis, New. J. Chem., 2014, 38, 3579-3585. 20. Rajneesh Misra, Ramesh Maragani, Ferrocenyl substituted triphenylamine based donor–acceptor molecular systems; synthesis, photophysical, electrochemical, and theoretical studies , Tetrahedron, 2014, 70, 3390-3399. 19. Satya Narayan Sahu, Maneesh Kumar Gupta, Thaksen Jadhav, Pratik Yadav, Surjeet Singh, Rajneesh Misra and Ramendra Pratap, Substitutent dependent tunable fluorescence in thieno [3,2-c] pyrans, RSC Advances, 2014, 4, 56779-56783. 18. C.P. Singh, Rekha Sharma, V. Shukla, P. Khundrakpam, Rajneesh Misra, K.S. Bindra, Rama Chari, Optical limiting and nonlinear studies of ferrocenyl substituted calixarenes, Chem. Phy. Lett., 2014, DOI: 10.1016/j.cplett.2014.10.030. 17. Rajneesh Misra, Bhausaheb Dhokale, Thaksen Jadhav, S. M. Mobin, Quenching of fluorescence as an indicator of donor-strength in meso arylethynyl BODIPYs. Dalton Transactions,2014, 43, 4854-4861. 16. Rajneesh Misra, Prabhat Gautam, S. M. Mobin, Aryl- substituted unsymmetrical benzothiadiazoles: Synthesis, Structure, and properties, J. Org. Chem , 2013, 78, 12440-12452. 15. Rajneesh Misra, Ramesh Maragani, Thaksen Jadhav, S. M. Mobin, Ferrocenyl end capped molecular rods: Synthesis, Structure, and properties, New J. Chem , 2013, 38, 1446-1457. 13. Rekha Sharma, Prabhat Gautam, S. M. Mobin, Rajneesh Misra, beta-substituted ferrocenyl porphyrins: synthesis, structure and properties, Dalton Transactions, 2013, 42, 5539. 12. Rekha Sharma, Ramesh Maragani, S. M. Mobin, Rajneesh Misra, ferrocenyl substituted calixarenes: synthesis structure and properties, RSC Advances, 2013, 3, 5785. 11. Ramesh Maragani, Thaksen Jadhav, Shaikh M. Mobin, Rajneesh Misra , C3 symmetric ferrocenyl triazines: synthesis, structure, and properties. RSC Advances, 2013, 3, 2888-2892. 9. Thaksen Jadhav, Ramesh Maragani, Rajneesh Misra, V. Sreeramulu, D. Narayana Rao, Shaikh M. Mobin, Design and synthesis of donor-acceptor pyrazoble derivatives for multiphoton absorption, Dalton Transactions, 2013, 42, 4340-4342. 8. Rajneesh Misra, Prabhat Gautam, Rekha Sharma, S. M. Mobin, Donor acceptor ferrocenyl benzothiadiazoles: Synthesis, Structure, and properties, Tetrahedron Letters , 2013, 54, 381-383. 7. Ramesh Maragani, Rajneesh Misra , Donor-acceptor ferrocenyl triazenes: synthesis and properties. Tetrahedron Letters , 2013, 54, 5399-5402. 6. Rajneesh Misra, Bhausaheb Dhokale, Thaksen Jadhav, S. M. Mobin, Donor acceptor ferrocenyl BODIPYs with marvelous supramolecular intereactions. Dalton Transactions, 2013, 42, 13658. 5. Bhausaheb Dhokale, Prabhat Gautam, S. M. Mobin, Rajneesh Misra, Donor acceptor ferrocenyl BODIPYs with marvelous supramolecular intereactions. Dalton Transactions, 2013, 42, 1512-1518. 4. Prabhat Gautam, Bhausaheb Dhokale, S. M. Mobin, Rajneesh Misra, Ferrocenyl BODIPYs: synthesis, structure and properties. RSC Advances, 2012, 2, 12105-12107. 3. Ramesh Maragani, Thaksen Jadhav, Shaikh M. Mobin, Rajneesh Misra *.Synthesis, structure, photophysical, and electrochemical properties of donor acceptor ferrocenyl derivatives. Tetrahedron, 2012, 68, 7302-7308. 2. Prabhat Gautam, Bhausaheb Dhokale, Vijay Shukla, Chandra Pal Singh, Kushvinder Singh Bindra and Rajneesh Misra, Optical limiting performance of meso-tetraferrocenyl porphyrin, and its metal derivatives. J Photochem and Photobio A, 2012, 239, 24. 1. Bhausaheb Dhokale, Prabhat Gautam, and Rajneesh Misra. Donor-Acceptor Perylenediimide-Ferrocene conjugates: synthesis, photophysical, and electrochemical properties. Tetrahedron Lett. 53, 2012, 2352-2354.